Once I pick up my weekly CSA farm share, I like to cook up as much of it as I can in the first day or two, and then cook the rest a few days later. I store the cooked food in glass dishes in the fridge. Having yummy food ready to eat gives me peace of mind and makes my busy-day lunches and dinners easy and delicious. Eating our own home-cooked organic food is the best wellness plan. Cooking food just before we eat it is always preferable to eating food that’s been refrigerated from a day or two earlier, but fresh cooked is not always practical. So having yummy meals in the fridge beats the desire to be lazy and eat out. Be smart when eating pre-cooked dishes, and observe the following guidelines. 2.Reheat by placing a little water in a stainless steel pan and adding the food. It will quickly steam warm. Don’t use a microwave ever. 3.Keep the food well covered, air tight and cool. Don’t let the large portion sit out, become warm, and then re-refrigerate. This will also keep foods bacteria-free. I like to cook vegetables easily and simply, with only a few additional ingredients. This means my tongue can taste and appreciate the inherent flavors of each vegetable. We’ll become connoisseurs and enjoy the very best. It also makes for easier digestion. Yes, I do prepare rich or complex recipes for friends and occasions. I also try to use 5 veggies a meal across dishes or always in my Green Dragon Salad. I like baking/roasting veggies particularly in colder weather. Baking deeply warms the whole body and draws out rich satisfying flavors more so than steaming or quick sauté. 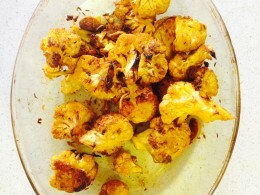 Baked veggies are great for bowel health and bones. 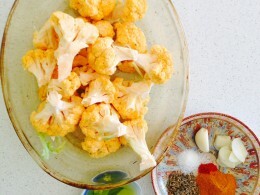 Here’s 3 Recent Recipe inspired by seasonal produce. 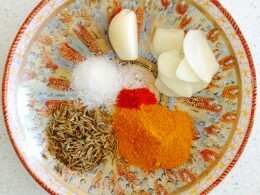 In a glass baking dish, blend all ingredients, coating the florets well. When I turn on the oven to bake, I’ll use the heat to make more than one dish. It takes little additional prep time, uses the gas/electricity to good advantage, and cooks up more yummy food. 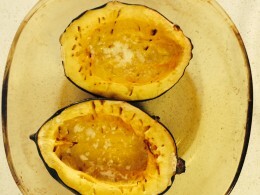 Place in a low glass dish or directly on the oven rack. 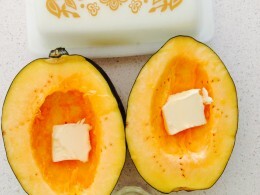 Squash is ready when a fork easily pokes into the flesh. As you poke the flesh, let the melted butter/oil soak throughout. Cut long slices of organic broccoli florets. Place in steamer or ¼ inch of water. 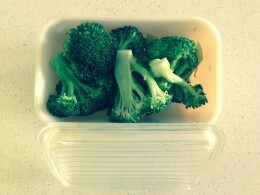 Broccoli should still have some snap or crunch. ½ Teaspoon Apple Cider Vinegar or Juice of a Lemon. 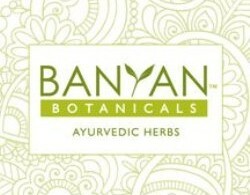 I buy all my organic spices affordably and reputably at Banyan Botanicals. When you click though my links here, you support this blog and my Youtube channel. It means a lot to me, so thank you in advance.